The prophecies of the ancient Americas speak about a period of great transformation, and foretell of new humans appearing on the planet – persons of wisdom and power who live free of fear and abide in their eternal nature, accepting stewardship for all creation. Based on initiatory practices of the shamans of the Andes and the Amazon, the Munay-Ki are nine rites of initiation to become a person of wisdom and power. They are energetic transmissions that heal the wounds of the past – the genetic and karmic inheritance we are born with. They transform and upgrade the luminous energy field and re-inform our DNA, enabling us to grow a new body that ages, heals, and dies differently. The rites of the Munay-Ki are: The Seers Rite, The Harmony Rite, The Bands of Power, The Healers Rite, The Daykeepers Rite, The Wisdomkeepers Rite, The Earthkeepers Rite, The Starkeepers Rite, and The Creator Rite. There are four fundamental transmissions of the Munay-Ki. The first awakens the seer within you, and the ability to see into the invisible world of energy and spirit. The second awakens the healer within you, and also launches your personal healing journey. The third consists of energetic protections that enable you to walk fearlessly and with beauty in the world. The fourth connects you to a lineage of healers, Wisdomkeepers and Earthkeepers from the past – and the future – who will work with you and through you. These rites were first given to ancient teachers by angelic beings, and now are passed on from teacher to student in the form of seeds. Once these seeds are gifted to you by another, it is up to you to grow them into fruit-bearing trees. The traditional fire ceremony — sometimes in the form of plain white candles – is used to grow your rites once received. As you receive and gift these rites, you will sense the presence of the lineage with you — the luminous ones who work from the spirit world. These rites are not only stages of initiation, but possible steps for the evolution of humanity. As nations fight for bits of territory and battle over land, we must find the wisdom to create peace among all peoples. As our space telescopes show us images of a vast and immeasurable Universe, we must find a human story that is inclusive of the stars. And as our ability to destroy the world increases, we are called to step up to the task of assuming stewardship for all creation. 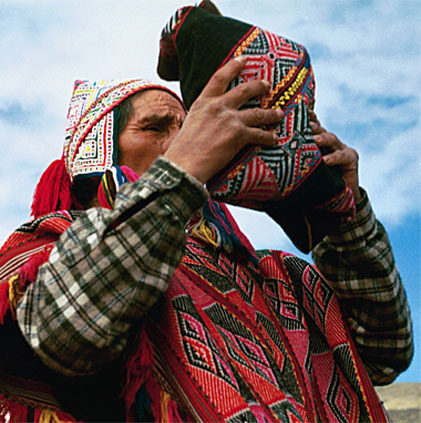 In the Quechua language, “Munay” means universal love. “Ki” is from the Japanese word for energy. Together, these words mean energy of love. After you go through the nine rites of the Munay-Ki, you can begin to dream the world into being – the world that we want our children’s children to inherit. Visit our calendar to learn about our next Munay-Ki program.